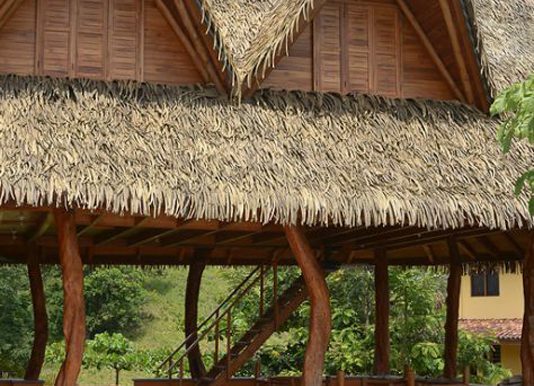 You can’t help but to notice some gorgeous woodwork and craftsmanship on this beach house. 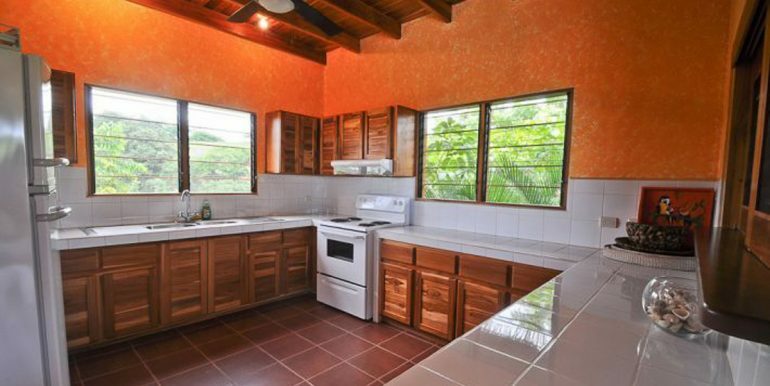 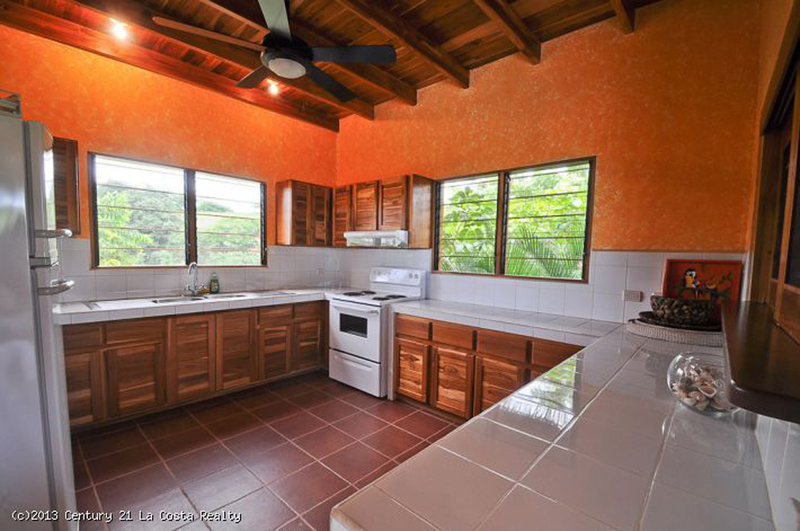 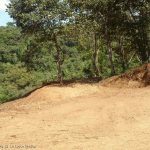 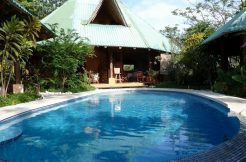 Five bedrooms (3 bathrooms) can comfortably sleep 10, but the rancho could entertain a whole lot more! 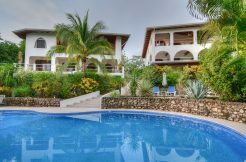 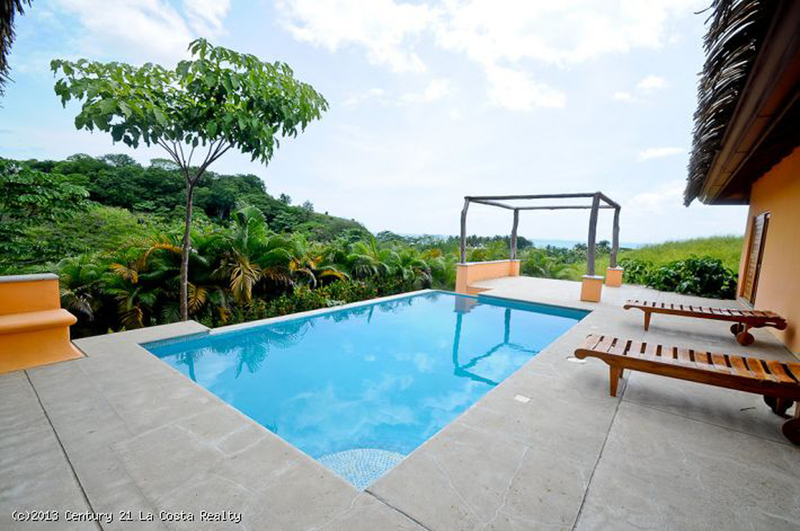 The pool area is so beautiful and peaceful overlooking the warm waters of the Pacific and the sandy beach of Playa Guiones. 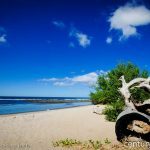 The beach looks so close it feels like you can tough it. 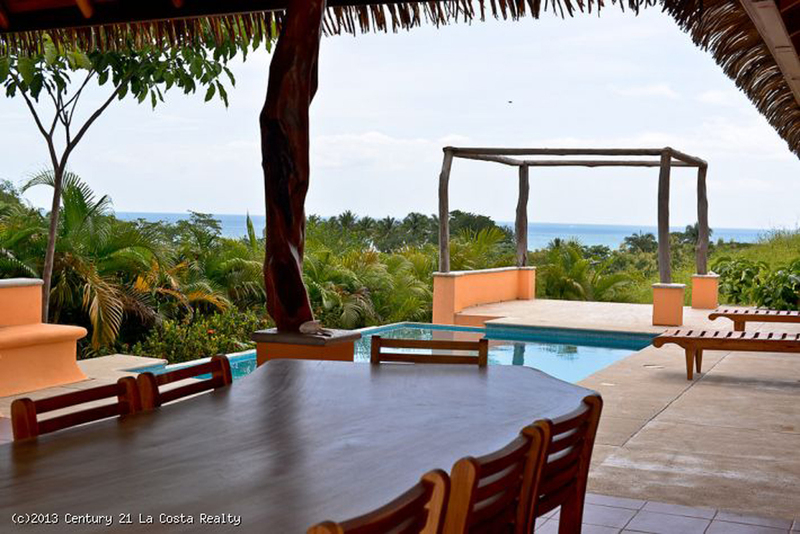 Well… you practically can as the house is only 300 meters from the ocean! 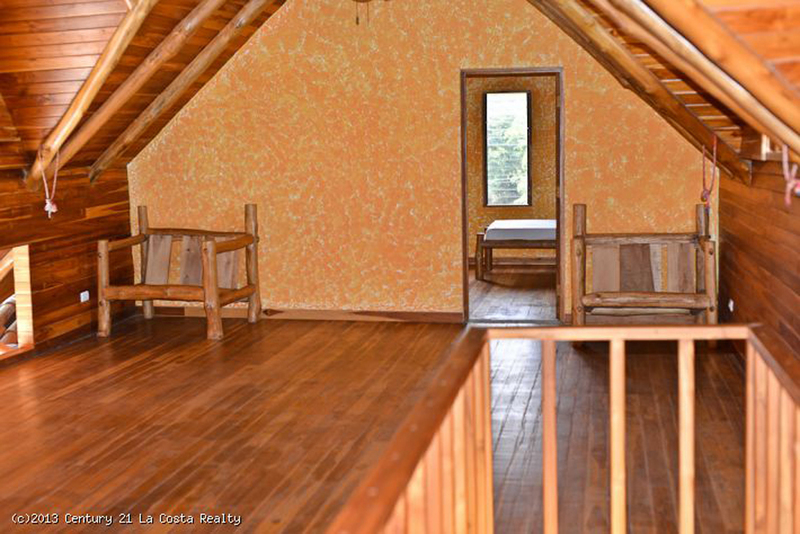 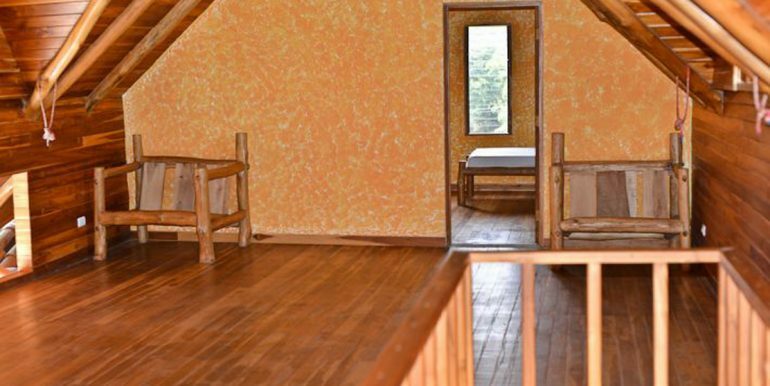 There is also a large loft area that would make an ideal yoga room or kids room w/ plenty of room for a ping pong table or extra beds. 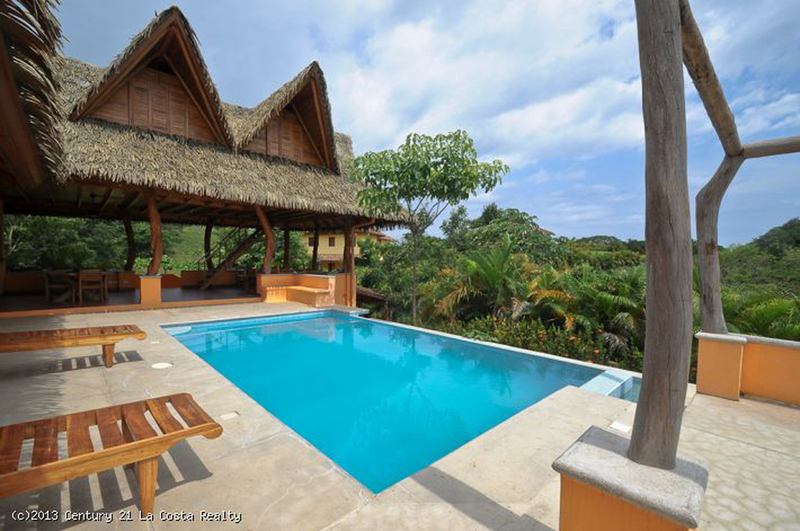 Imagine sitting in the pool after a long surf session, watching the sun sink into the Pacific. 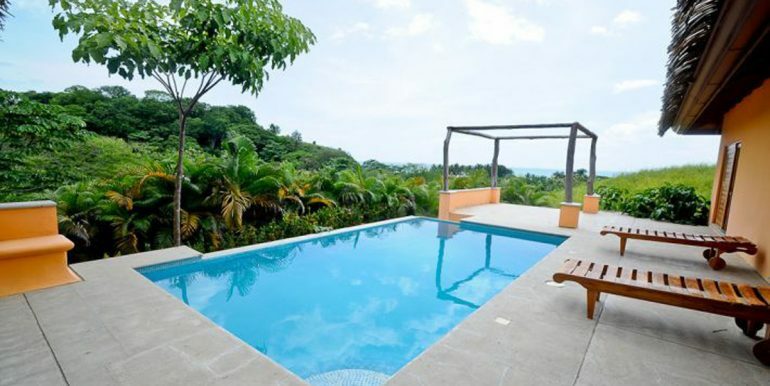 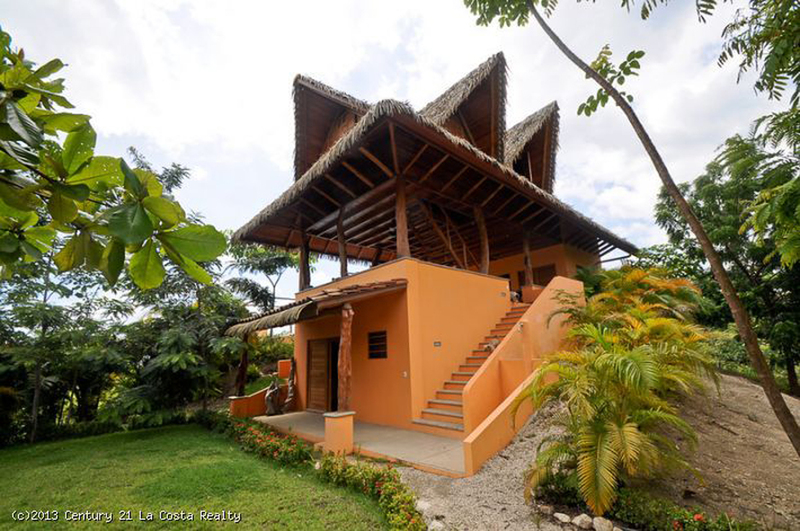 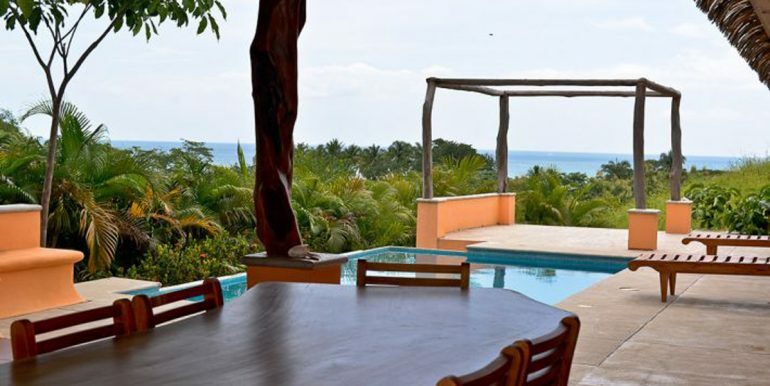 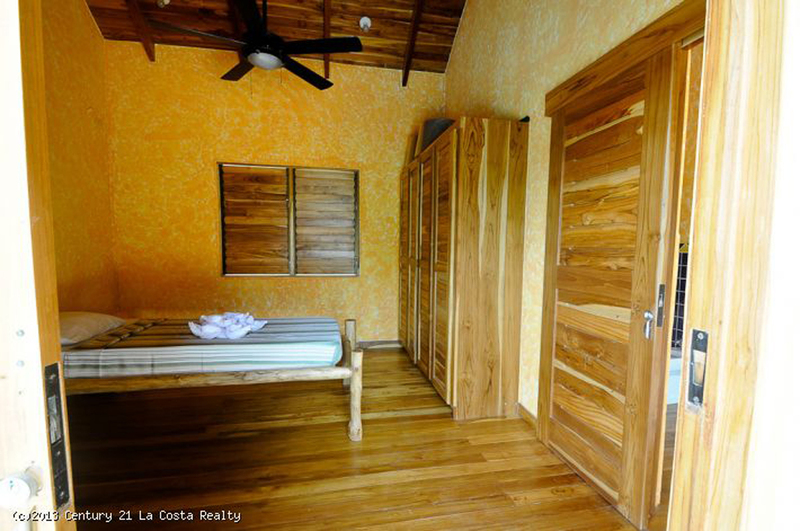 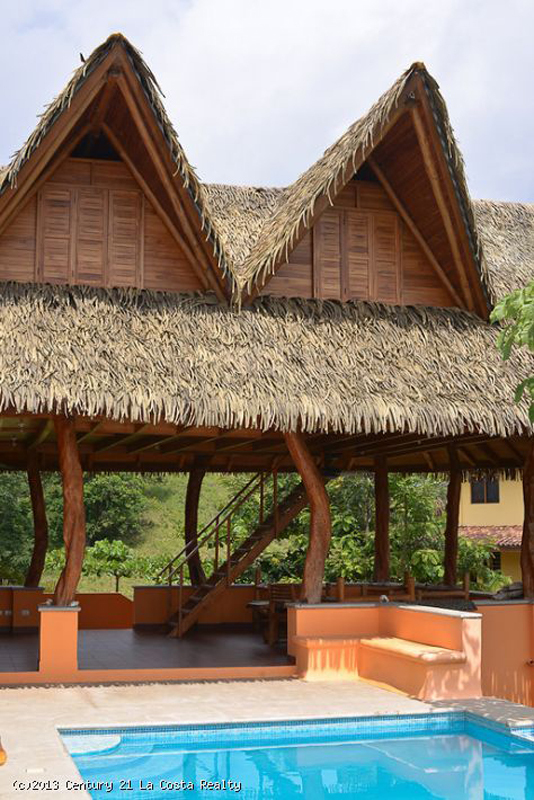 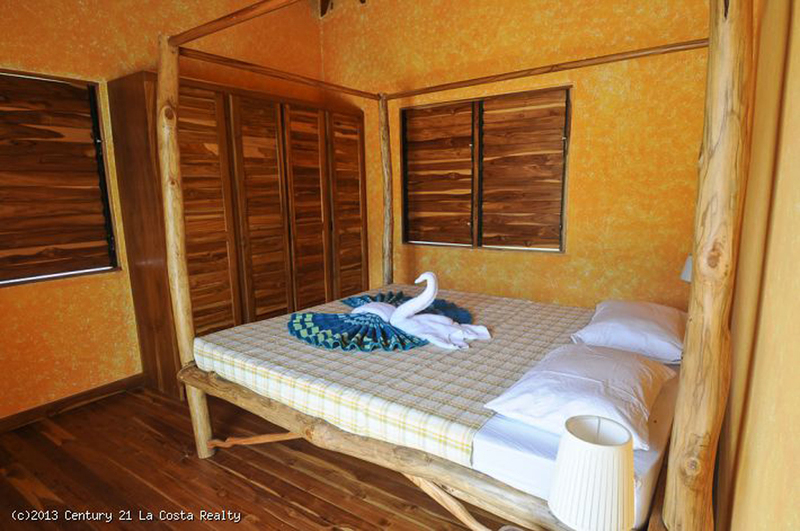 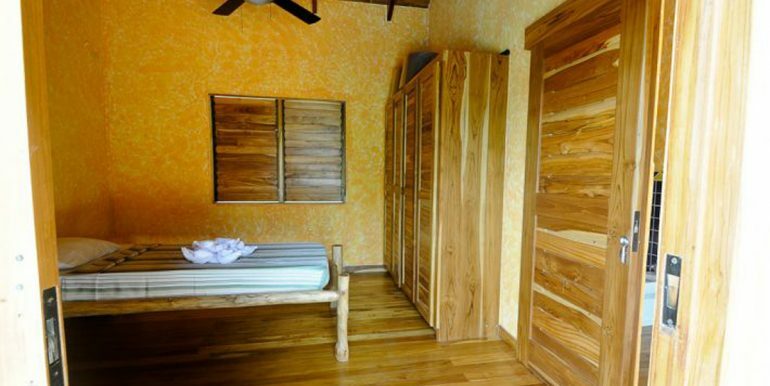 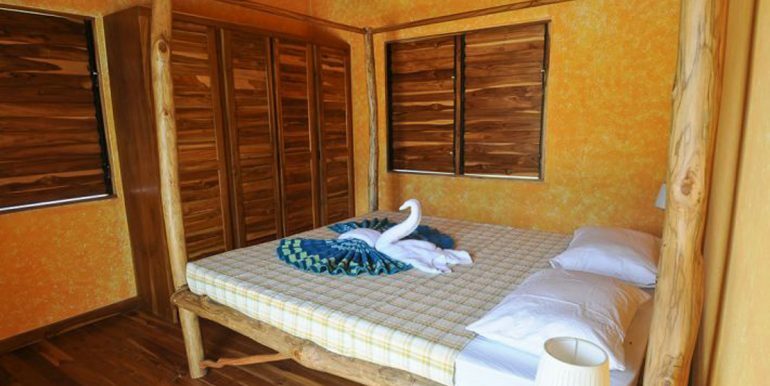 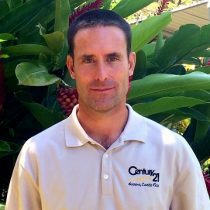 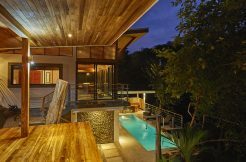 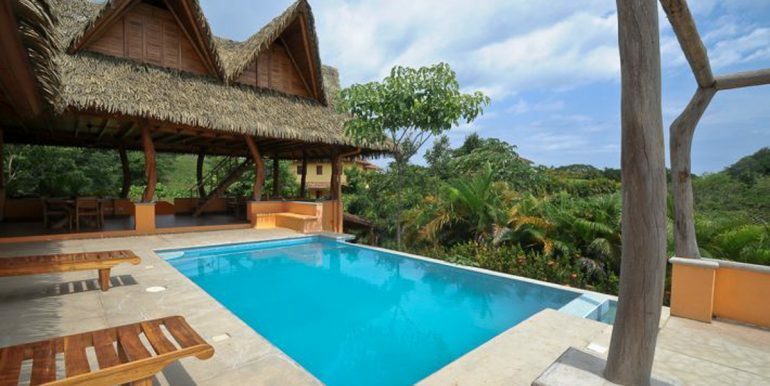 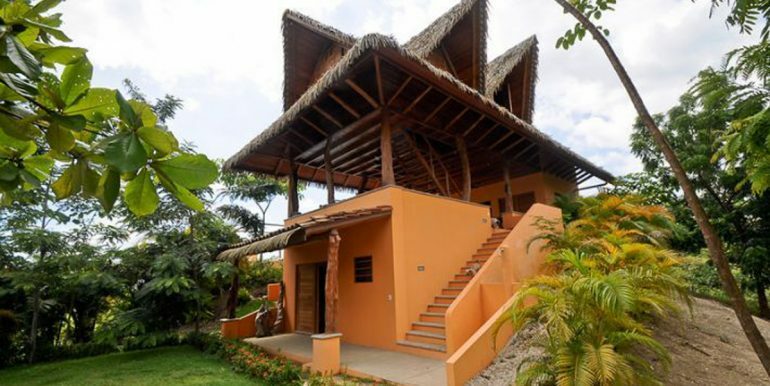 That Costa Rican dream is available and affordable.